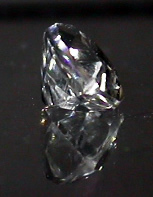 A machine marquise cut Herkimer Diamond. 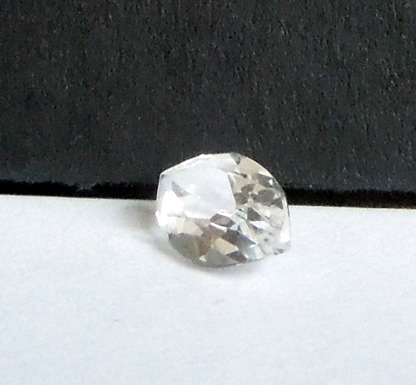 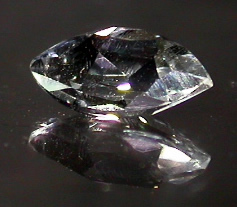 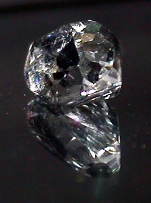 Note: All machine faceted Herkimer Diamonds are AA grade water clear crystals. 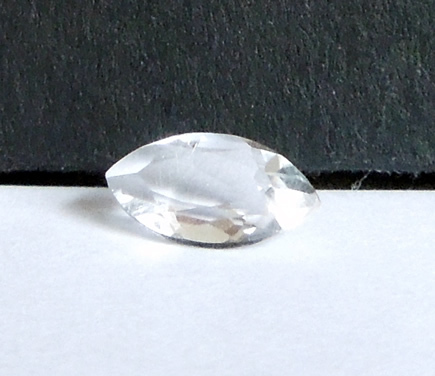 Marquise cuts are difficult (for me : ) to photograph.